We pride ourselves on being able to undertake most types of diagnostic work. Kevin our Diagnostic Technician is one of the only accredited ATA Mastertechs in the area. We have recently upgraded our diagnostic equipment. The new Autologic equipment gives us dealer level diagnostics on BMW, Volkswagen, Audi, Skoda, Seat, Mercedes, Jaguar and Land Rover. We are also able to update Digital Service Records on these vehicles. With the current state of our roads it is easy to knock your wheels out of alignment. Correct wheel alignment is important not only for handling and preventing uneven tyre wear, but also to help with fuel economy. 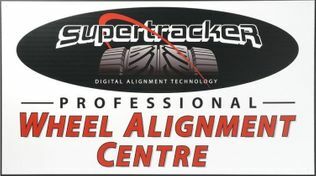 We have a state of the art digital system made by SuperTracker that takes measurements with 8 cameras, across the front and rear of the vehicle and down both sides. Once the vehicle has been set up we can provide you with a before and after comparison printout. Some people are under the impression that air conditioning is something that is only used in the summer. However, it should be used all year round as one of its benefits is removing condensation from the vehicle thus helping to clear screens much quicker. We can carry out recharging, cleaning, diagnostics and repairs to your system. Your air con system is a place where bacteria can thrive and it is therefore recommended to have it cleaned out on a regular basis. 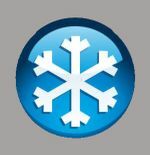 Kevin our air conditioning technician is an IMI Lifetime Accredited Air Conditioning Technician. Due to the increasing popularity of hybrid and electric vehicles our staff have been trained to handle and service these vehicles safely. we offer servicing and repairs to manufacturers standards on most models. We can now service and repair these vehicles on site.